Home › from the desk of joseph › BREAKING NEWS: Justice for Victor Jara? BREAKING NEWS: Justice for Victor Jara? It’s been a long time coming, but it seems that justice will finally be served for the murderers of protest Victor Jara. News broke today that two soldiers have been charged for his murder, which took place 41 years ago. 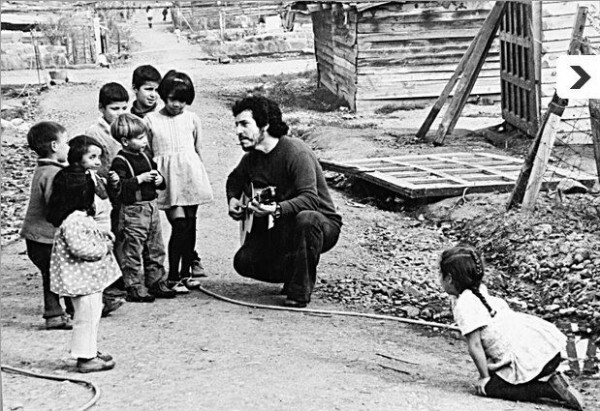 If you’re not aware of the Victor Jara story, click this link for an excellent read. His death would serve as the subject of excellent British band Working Week’s debut single. Here’s that single, in all its ten-minute glory.